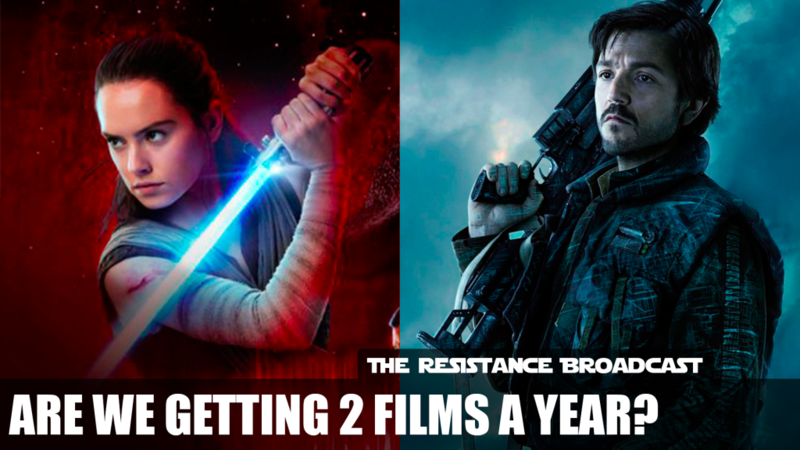 The Resistance Broadcast – How Many Star Wars Movies Do We Want a Year? 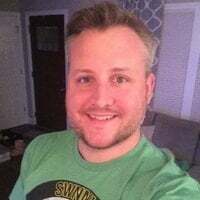 Is The Force With You?, which is our weekly segment where we buy or sell on hot topics in Star Wars; We also get into a discussion where we answer the question: How many Star Wars movies do we want a year? ; and finally our Star Wars fan/community segment called The Resistance Expanded Universe! Now that we are coming at you TWICE a week, be sure to subscribe on whichever platform you prefer, YouTube, Soundcloud, or iTunes, so you are alerted when our episodes post! 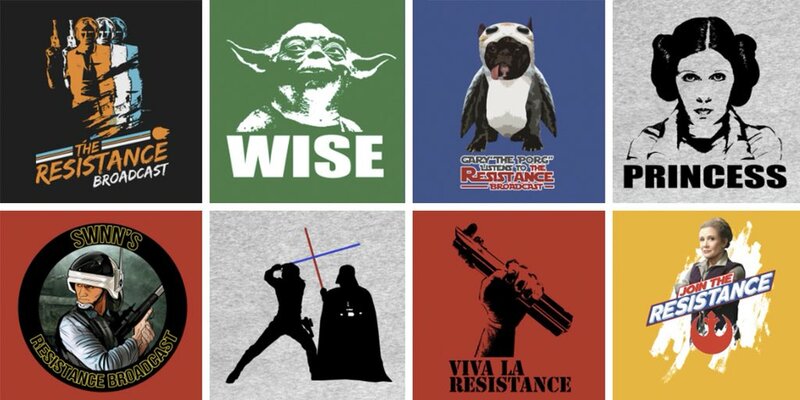 Is The Force With You?? We have kept our gloves on this week and took a break from our debate segment STAR WARS WARS. 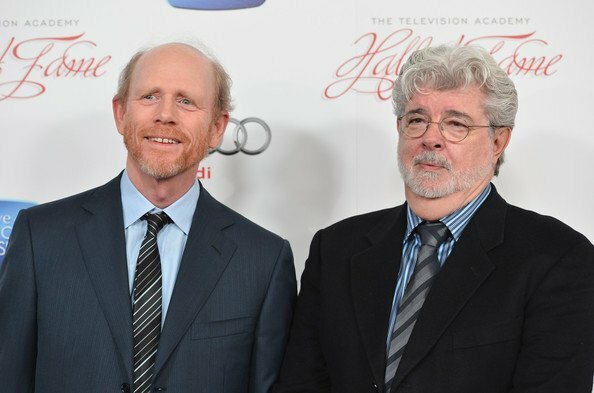 Instead, we had a lengthy discussion talking about many Star Wars movies we really want a year, and the factors that we think may play into what Lucasfilm ultimately decides to do going forward, from past production concerns/drama, to looking at what other franchises are doing like Marvel, and the ultimate question based on polls we ran BEFORE and AFTER The Last Jedi, do fans in general want more than one Star Wars movie a year?? 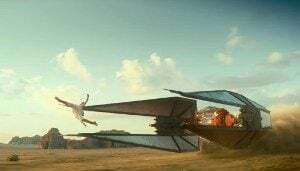 How often do you want to see new Star Wars movies come out? This week in our fan/community segment, where we shed light on cool things created by Star Wars fans, we put the spotlight on https://www.astarwarscomic.com/, a digital fan made comic book series (with no official ties to Lucasfilm) that puts a spin on some side characters stories in six page issues! 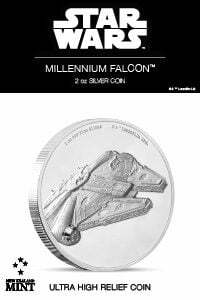 The art work is extremely well done and we all agreed, if we didn’t know any better, it could very well fit into the comics currently being made by official Lucasfilm publishers. 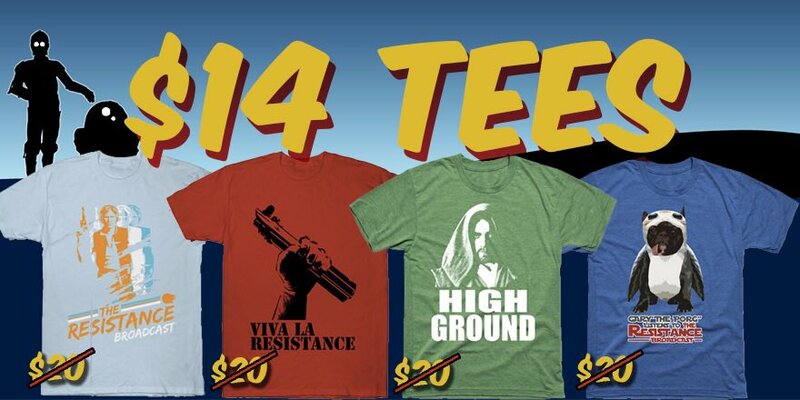 TEEPUBLIC.COM is having a massive sale right now on ALL of our merchandise, so don’t forget to check out more of our designs in our store at https://www.teepublic.com/user/resistancebroadcast. 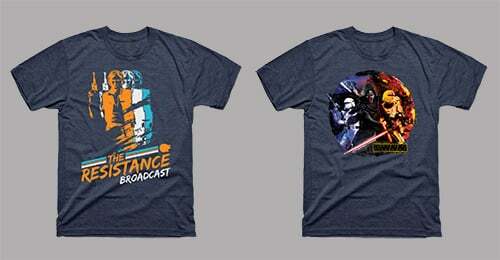 Help support our show moving forward and grab some merch from ‘The Resistance Broadcast’! 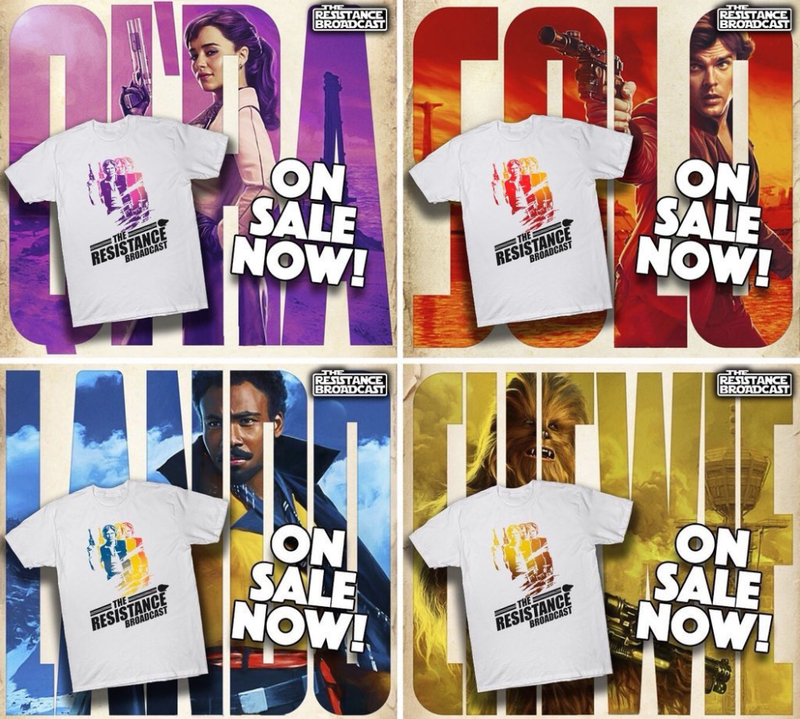 Our character series shirts are all back for this sale ONLY! 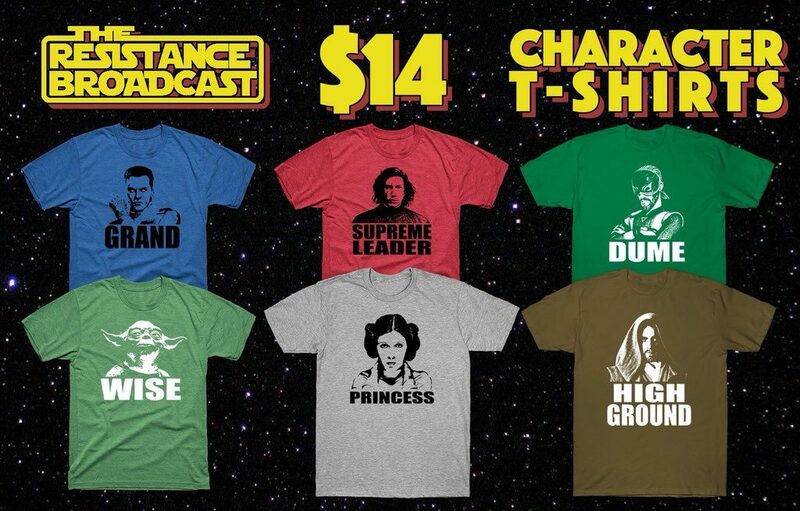 Once the sale ends, all of them except GRAND and DUME will vanish like Obi-Wan Kenobi beneath his Jedi robe! So grab one of these below now right here! SOLO: A STAR WARS STORY character poster variants! The Resistance is coming at you TWICE a week now. So keep your ears open for our next transmission which will come your way Monday, February 26th with another brand new episode! Have something you want to share with us about your love of Star Wars that shows off your creative side or you know someone else who does, send it to us! 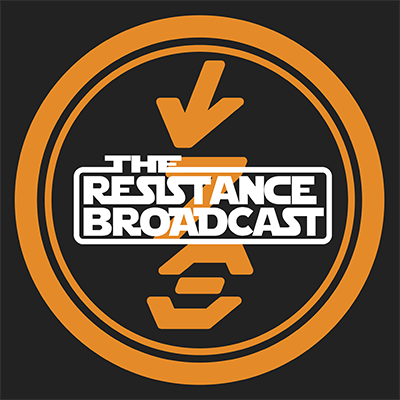 If you would like to submit questions for the show you can tweet at us on our Twitter account @RBatSWNN, send an email to resistancebroadcast@gmail.com, or message us on the Cantina Forum in the questions and comments thread. In addition to questions, we always love your feedback so keep sending it our way! Forget the mystery surrounding Rey's parents, I think I just discovered who Snoke's parents are!